Herringbone tweed pattern tights from Veneziana, perfect for a classy and elegant outfit. The pattern has red and orange dots making the tights look like real tweed. Try pairing these tights with wool shorts and high heels for a fashionable look. Tweed Botonatto tights have a cotton gusset and reinforced toes. These herringbone tweed pattern tights from Veneziana are perfect for a classy and elegant outfit. The herringbone tweed pattern has red and orange freckles to make the tweed look even more realistic. 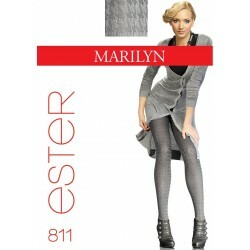 Try pairing these tights with wool shorts and high heels for a fashionable look. Tweed Botonatto tights are sheer to waist and have a cotton gusset and reinforced toes.